This summer, I read a book called “A Prayer for Owen Meany” by John Irving. It’s a story about growing up, friendship, and faith in God. At one point in the novel, the main character and narrator, young Johnny Wheelwright, describes his pastor, Mr. Merrill. Johnny Wheelwright’s sentiments ring true. Doubt, it seems, is inextricably bound to faith. We even declare it in worship: great is the mystery of faith! Yet, we are called to believe without seeing, and I would be remiss if I didn’t say that that is a tall task. Faith is difficult. Faith is complicated. At times, faith even feels irrational. And it does! Faith is challenging, but if faith is the challenge then critically thinking about faith is how we rise to the task. Reading the Bible critically, thinking analytically about what faith means, and asking hard questions about God are how we practice. In other words, we doubt. We don’t take everything for granted, we don’t shy away from the parts of faith that are difficult, but we take a serious look at what the Bible says and ask: why is this here? How does this fit into a larger Biblical narrative? And for me, at least, that’s when I grow most in faith. Having Bible verses stored away is comforting in difficult times, but when the most existential faith questions arise I find that I grow more by facing those questions with a group, with a faith community, that is willing to let doubt in so that faith may flourish. When I walk into Katie Owen’s office with a difficult question about theology or a part of my faith that doesn’t sit well, I am not turned away for having doubts or questions. My concerns and critical voice are not quelled, because PCM+ is a group that recognizes that doubt is indeed an essential part of faith, and that growing in faith means asking questions about it. We discuss, ask the hard questions, and I usually leave with a more thorough understanding of faith, and a stronger faith, than I had before. That’s what I love about PCM+. It is a place where my doubt is embraced, where my questions are valued, and the inevitable difficulties of having faith on a college campus are faced head on. And, best of all, we take on those difficult questions as a group — it is not a solo venture. In the classroom, professors demand that we have much more than a surface level understanding of our material. Why should faith be any different? Instead of settling for what might be easy answers about faith, answers that we have heard repeated for years, why not engage our faith? Why not ask the difficult questions that help us to grow? The answer, I think, is that it’s frightening, and it certainly is. But asking questions of God and having doubts about God doesn’t make us bad Christians — it makes us human. I’ve been going to Sunday school and worship for nineteen years and I would be kidding myself if I pretended that I had faith figured out. I still ask questions, I still have my doubts each and every day, and that’s okay. Questioning, thinking, and evaluating our call as Christians and our faith in God are essential because that is what faith is. Faith is challenging. Faith is a lifelong journey. Faith is a constant becoming. 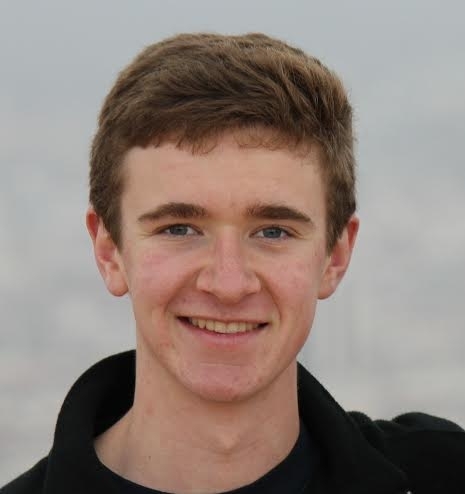 Graeme Peterson is a Trinity sophomore studying public policy. He currently serves as the PCM+ Moderator.